Claudia was born in Italy, taught in the public schools, worked in marketing for a west coast aerospace company, and even appeared on the nationally televised game show, The Joker’s Wild. Claudia is a member of the National Middle School Association, Ohio Foreign Language Association and the American Association of Teachers of French. She has served on the Northeast Ohio Focus Group committee that reviewed the academic standards for foreign language instruction in Ohio. She has been listed as an honored teacher for consistent student placement on the Grand Concours National French Exam. Having traveled extensively with her students, Claudia returned this summer from her 13th trip to France with students and parents. 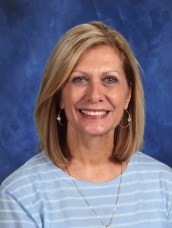 She has been nominated six times by former students to “Who’s Who in America’s Teachers,” and was also selected as an honored educator by four former CCDS students – a Valedictorian at Lake High School, two Hoover High School students and a Jackson High School student. In her leisure time, Claudia likes to cook Italian food, travel to unusual places and read all genres of books. Her two children, Jordan (’98) and Amanda (’01) are both graduates of CCDS.